Photo by thomaswanhoff used under a Creative Commons license. Barbara Crossette, So Close to Heaven: The Vanishing Buddhist Kingdoms of the Himalayas (Vintage, 1996). Crossette, formerly a reporter for The New York Times, visits Bhutan, the last independent Buddhist kingdom of the Himalayas. She also writes short chapters about the others — Ladakh, Sikkim and Nepal — but her focus is Bhutan. Crossette uses her travels to explore these kingdoms’ struggles to confront modern pressures without abandoning its culture and traditions. She is a fan of Bhutan’s monarchy and its efforts to control the country’s opening to the outside, though one wonders whether the access she was given by the government colored her views. Here is a bio of Crossette. Pico Iyer reviewed it for The New York Times. John Perry reviewed it as well (scroll down), as did John Q. McDonald. Lonely Planet’s Bhutan guide recommends it. You can watch this extended conversation between Harold Hudson Channer and Crossette. And then-NFL Commissioner Paul Tagliabue took it to the beach a few summers ago. 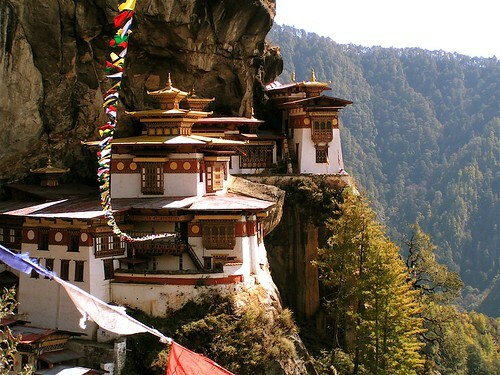 Mark Jenkins wrote about Bhutan in The Atlantic last year. Brad Scriber wrote about the country in National Geographic last month. Robert Dompnier has some terrific photos; Crossette’s book is on his bibliography. For more on Crossette’s book, The Great Hill Stations of Asia, see here.